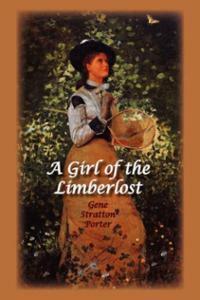 I'm only a fifth of the way through A Girl of the Limberlost. To be truthful, I'm also reading the second book in the Rot & Ruin series, and I'm finding that tale of dealing with zombies more of a draw than this one of dealing with swamps. A naturalist has knowledge of the natural world. An environmentalist wants to protect the environment. See the difference? Naturalists have knowledge of the natural world but aren't necessarily interested in protecting it. Environmentalists don't have to have any great knowledge of the natural world to want to protect it. That's what I'm seeing in Girl of the Limberlost. So far, Elnora has voiced a lot of knowledge of caterpillars and different types of moths. But she hasn't even indicated any realization that maintaining the Limberlost (which was drained in 1913, by the way). Her concern to this point is all about getting what she needs from the Limberlost so she can sell it and continue her schooling. I'm not pointing this out to be judgmental, by the way. I'm just saying that we're talking a very different thing here than I would expect to see in a book written and published now. Elnora's neighbors can't do enough for her. Her hard-hearted mother is possessive. Poor children are taken with her. A week after starting high school as a poor, rural, outsider, she has won everyone over. She meets a guy in the swamp who was a few years ahead of her in elementary school and immediately has him collecting nuts and berries with her. Everybody loves her, and as I find with most characters of that kind, I have no idea why. Her problems are similar to the problems of many other YA characters, making her not particularly unique. The people I'm finding more interesting are her neighbors, who she refers to as Uncle Wesley and Aunt Margaret, and her mother. What makes them interesting is that they're competing for children. Wesley desperately wants to love and nurture a child. His wife is fussier. She wants to love and nurture a nice one. One like Elnora. Mrs. Comstock, Elnora's mother, has a child to love and nurture but doesn't find it to be that big a deal. But her knickers are in a twist because Wesley and Margaret have spent years providing Elnora with care and support. So when Wesley and Margaret are trying to bring an orphaned boy into their home, she makes clear to the young'un that if he ever has any problems with his new home, he can have one with her. That's pretty damn diabolical. And a lot more interesting than being loved by all.